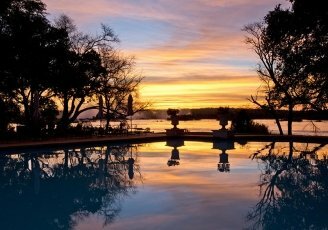 The Royal Livingstone Hotel is located on the banks of the mighty Zambezi River, within the Mosi-oa-Tunya National Park, overlooking Victoria Falls, and is an elegant five star property. 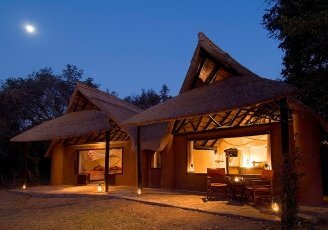 It has been sited so that guests have unlimited access to Victoria Falls which also lies within the park, less than five minutes walk away. 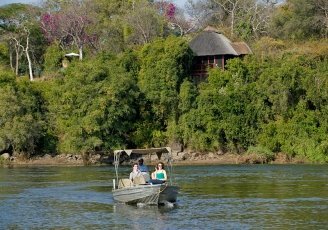 A superb and spacious wooden deck affords guests at the Royal Livingstone sweeping views of the falls; where a better place to come and relax as the sun sets with a G&T in hand; very colonial! 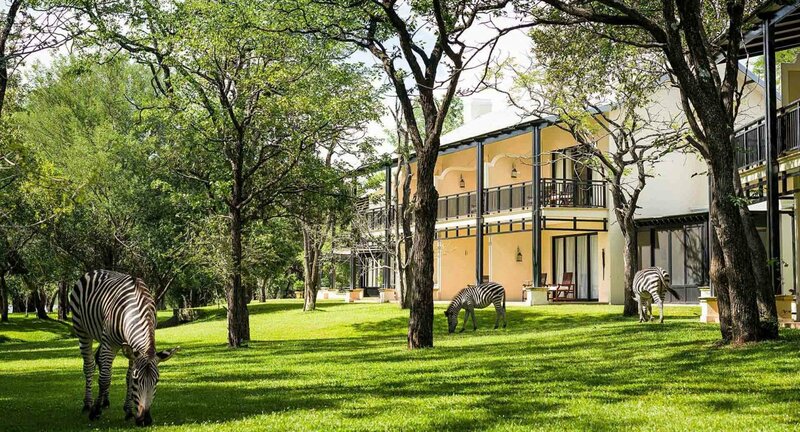 The overwhelming ambience at the Royal Livingstone Hotel is of colonial elegance with shaded verandas, cool lounges and pervading sense of space. 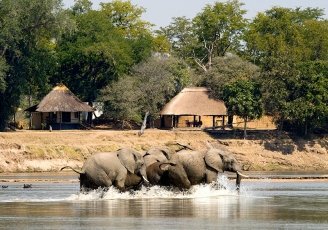 Why not head back in time and enjoy the Royal Livingstone’s traditional High Tea with all the trimmings? 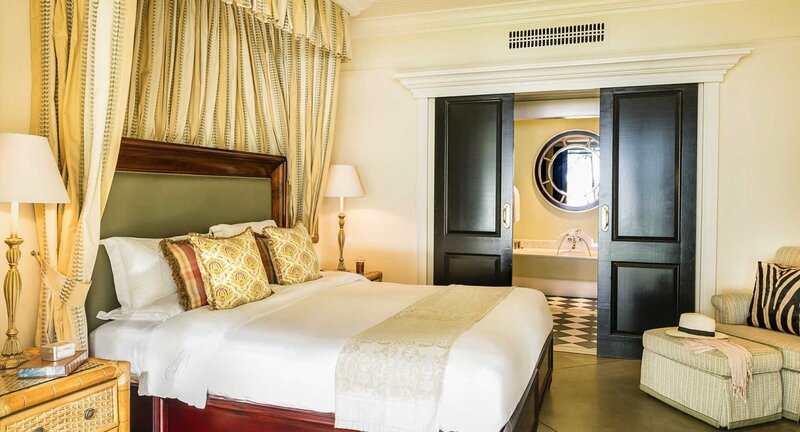 The one hundred and seventy three luxurious rooms at Royal Livingstone feature hand-carved mahogany furniture and have an African feel with eastern overtones. 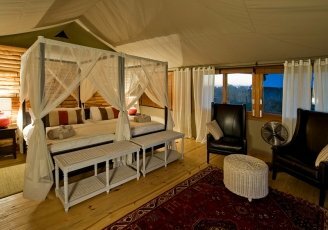 They are all decorated in the earthy tones of the bush offset by crisp white linen. 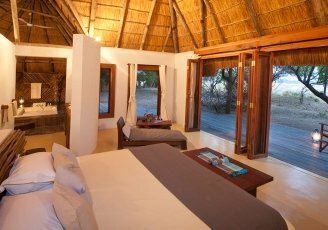 The en-suite bathrooms have both freestanding ball & claw bath and shower. 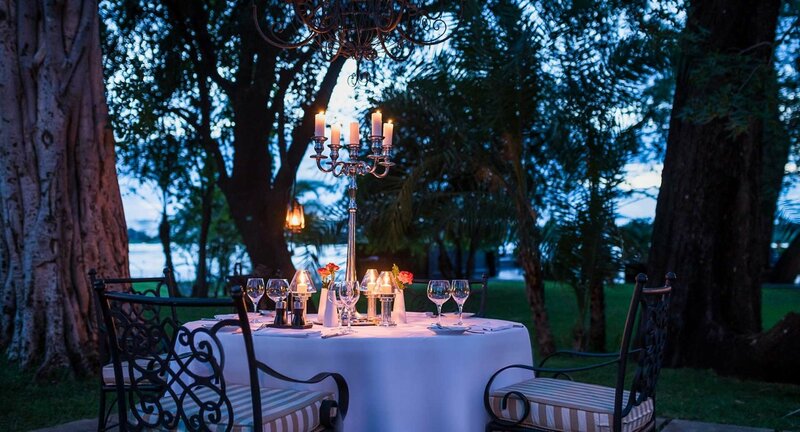 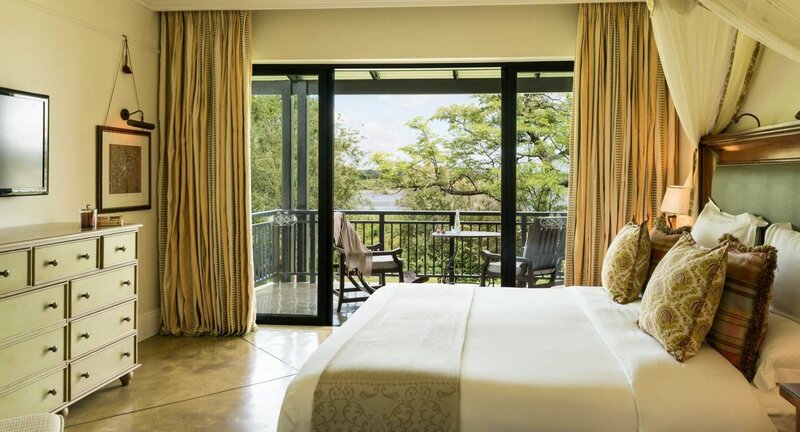 All rooms have a balcony or patio with views of the mature acacia trees, lawns and Zambezi River. 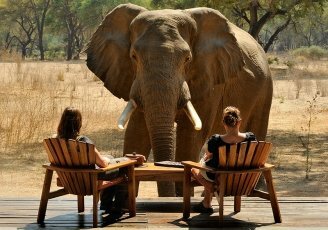 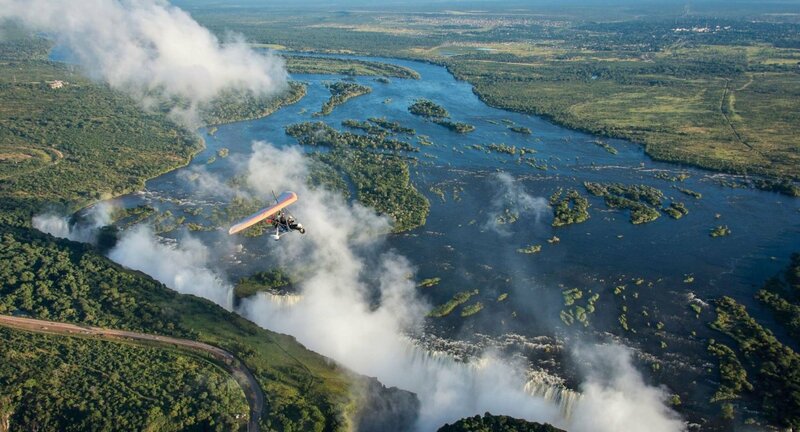 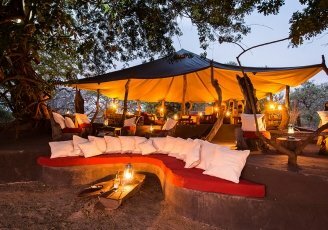 A wide range of activities can be arranged from a tour of Victoria Falls (Zambian side) to horse-riding, a flight over the falls in a fixed wing light aircraft or a helicopter to, for the more adventurous, white water rafting or bungee jumping!